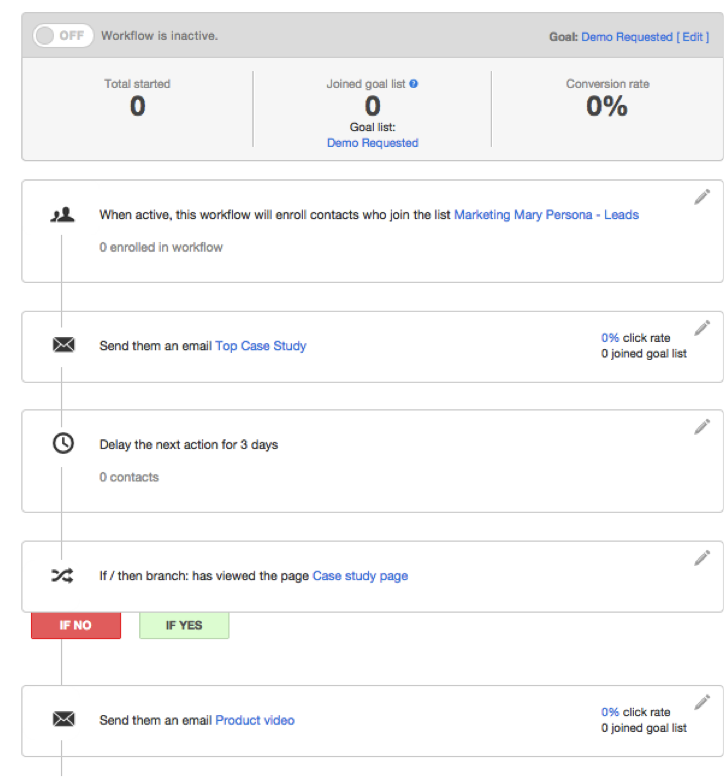 Lead nurturing workflows are designed to push your contacts to reach certain milestones along the way in their journey to becoming customers. 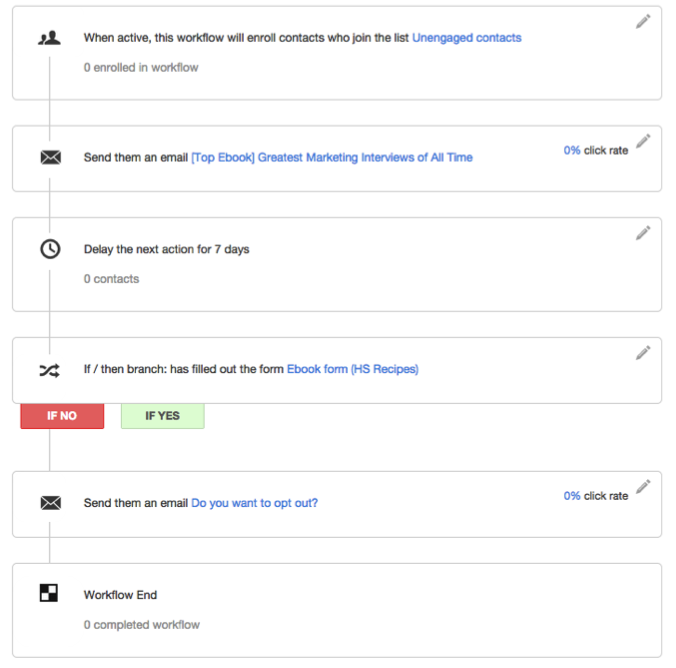 Branching workflows enable marketers to optimize around this even more. 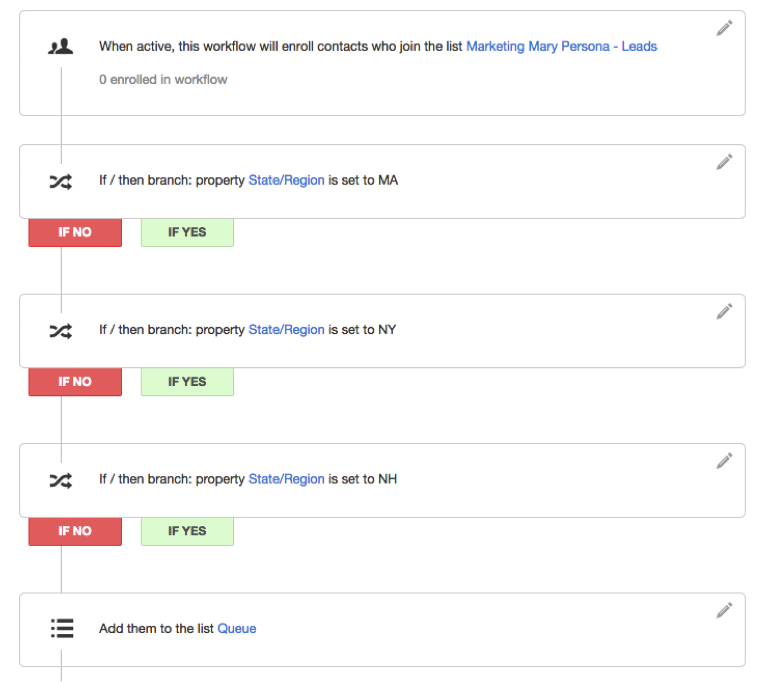 Each step in your HubSpot workflows can now check if the contacts have performed a specific high value action, such as a form submission, page view, email interaction, etc. Let’s explore five examples that illustrate the power of branching and breathe some new inspiration into your automation setup. Using conditional logic, marketers can smartly reuse and promote content to folks who’ve never seen it before by creating actions around this content, like link clicks, page views, and form submissions. For example, if you have one main offer you are working with (and you should really create some more! ), you can perform a few checks around it. Let’s say you have an ebook for Top Marketing Quotes that you send to all new contacts. If they don’t download it after five days, you can change up the language of the email, and wait for five more days. If they don’t download it again, you send them one last message that is also using new language. This is an example of reusing the same content, but just switching up the language in order to optimize around a specific conversion. The goal of this would be to see how many contacts convert on the offer over time. 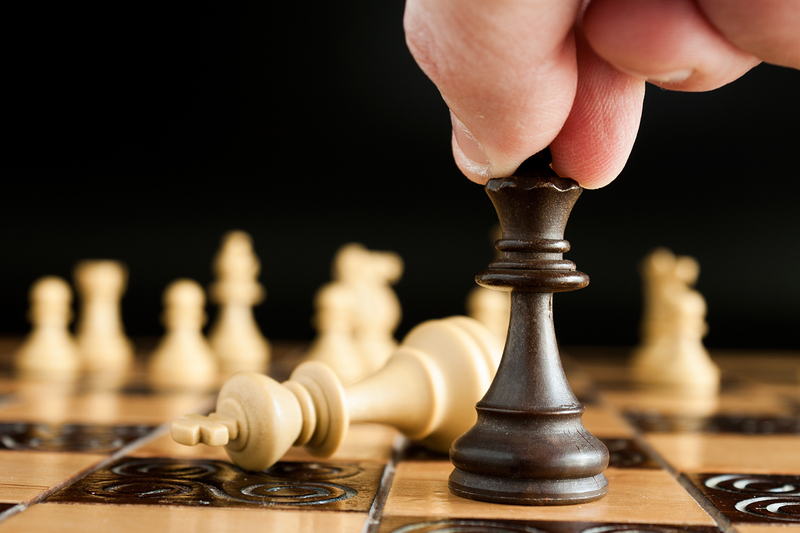 Send your leads a top case study first ­ you probably have one of these already created. If they view the case study, you can send them an invite for a demo because they have clearly engaged with the initial piece of content. However, if they haven’t visited the case study, you may want to send them an offer that is more light­weight than a demo ­ for example, a product video. 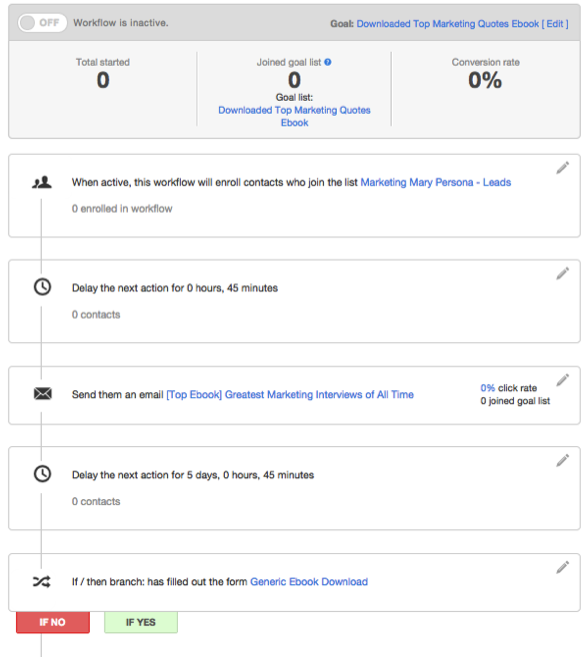 If you have a sales team, workflows can help with lead distribution when new folks come into your funnel. Conditional logic will allow you to more effectively assign leads to reps based on specific information, like geography. This example shows how three separate sales reps are receiving leads based on a specific territory. If a lead is from MA, they get assigned to Dimitri. If they are from NY, they get assigned to Maggie. If they are from NH, they get assigned to Mike. If they are from neither of these locations, they will get assigned to the queue. All marketers have contacts who go dormant. But they can be dangerous, not only because they pull back your average metrics, but also because they can be unhappy in your marketing database. Launch a re-engagement workflow that can rekindle their interest in your product/service or give them a way out. For example, send your list of unengaged contacts a top offer, one that has performed well traditionally. If they don’t download it or convert on any form within seven days, you can ask them whether they want to opt out. Making sure your leads are getting the best trial experience possible with your product is a great way to further qualify these folks for your sales team. This will ensure they are on the path to success with your product with a better chance of converting to a customer. If there are key actions someone can take in a trial ­ for example, completing setup ­ you can check if these actions are performed in the desired order to move your leads through your trial. 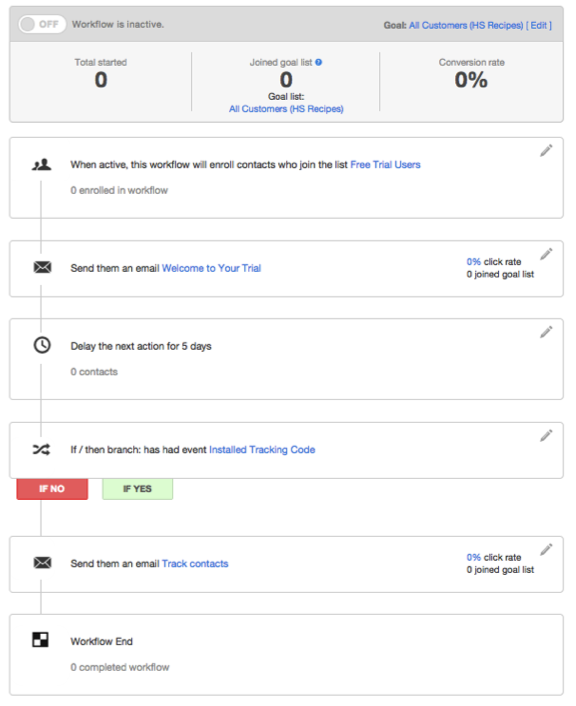 For example, your workflow can send a Welcome to Trial email that also invites the contact to complete their setup. Five days later, if the contact hasn’t completed setup, you can remind them about that. If the contact has completed the setup, you could send them more resources to help them be even more successful. These are just five examples that illustrate the power of branching in Workflows and showcase how you can organize some of your nurturing or administrative setup. What other ideas come to mind for you?